I have found the secret to true happiness. Forget about friendship or love or building an enjoyable life. Really, it all comes down to shower curtains. As most of you know, I am furnishing my house on a very strict budget and because I have made a commitment to purchasing fair trade or second hand goods whenever possible, my bathroom has been looking a bit… uncoordinated. 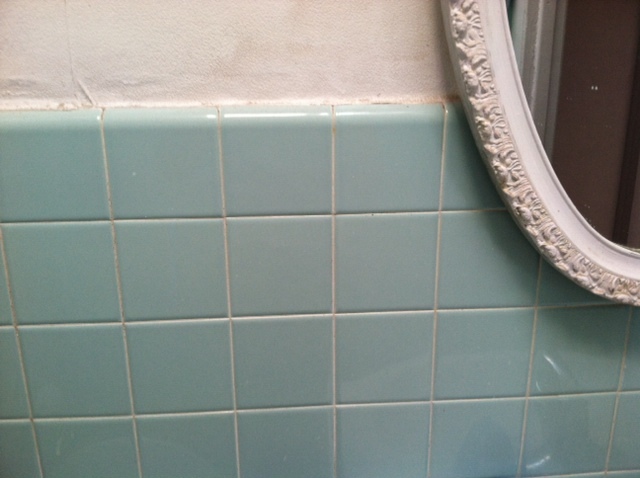 The tile and the tub are a lovely pastel teal (circa 1970) but I’m more into turquoise. As such, I’ve ended up with an amalgamation of towels in teal (the hand towels; second hand), light blue (the bathmat; also second hand), gray (the bath towels; on clearance at Jomar’s) and turquoise (the special occasions bath towels, which were in fact purchased at Macy’s in a moment of consumerist weakness, facilitated by the existence of several girl cards; I feel so guilty about them that I don’t even use them; only PIC does). At any rate, I’ve been feeling rather down in the dumps about my bathroom. Then I discovered the clearance rack at Bed, Bath and Beyond. My mother has been a longtime fan of the clearance rack at Bed, Bath and Beyond. Having only recently entered into home ownership, however, I’m afraid I never quite appreciated the true brilliance of clearance rack (or the skill required to navigate it). 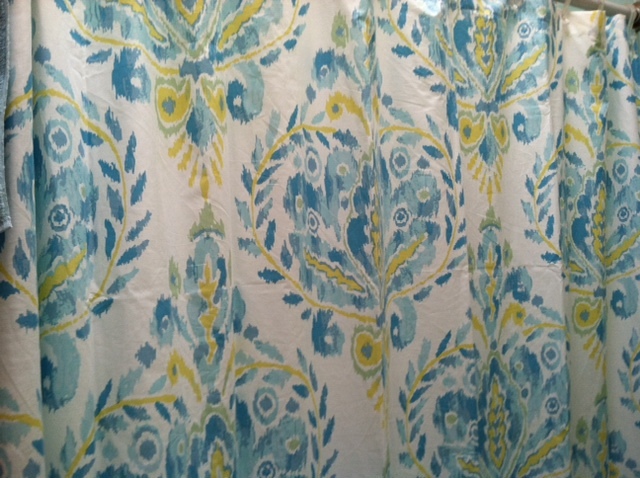 I found, in addition to five matching curtains for my open concept living/dining room (no easy feat, five matching curtains), the most wonderful shower curtain in the universe. Why is it so wonderful? Well, it combines teal, light blue, gray and turquoise into a brilliant floral pattern that screams not “thrift shop discombobulate” but rather “sophistication.” Intentional sophistication. And now that my bathroom has, by a single object, been quite literally pulled together, I can sleep peacefully at night knowing that just a few feet away my thrift shop towels are no longer clashing with one another. I love it! Teal is one of my favorite colors, as observed by my bedroom. Gotta say, Bed, Bath and Beyond is one of my favorites as well. Clearance rack or any rack, honestly. The one near my house, in Wynnewood, is big enough to get lost in and spend all your money. Will definitely do. And thank you! It’s amazing what a difference it can make to have your home feel pulled together. Love it. I too upgraded my shower curtain several weeks ago. Now, I spend every morning in the bathroom congratulating myself on my fantastic $20 find. It certainly took my bathroom from this necessary boring room to a classy adult sanctuary! I hate to buy anything new so I’m with you on this post! Haha, love this and the new curtain!